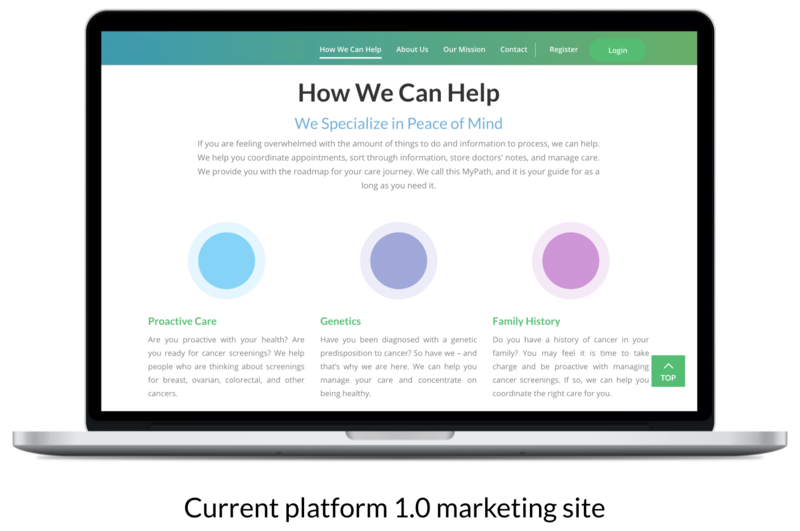 PCH 2.0 is a web based platform focused on providing assistance in care management for women diagnosed with a genetic predisposition for breast and or ovarian cancer. 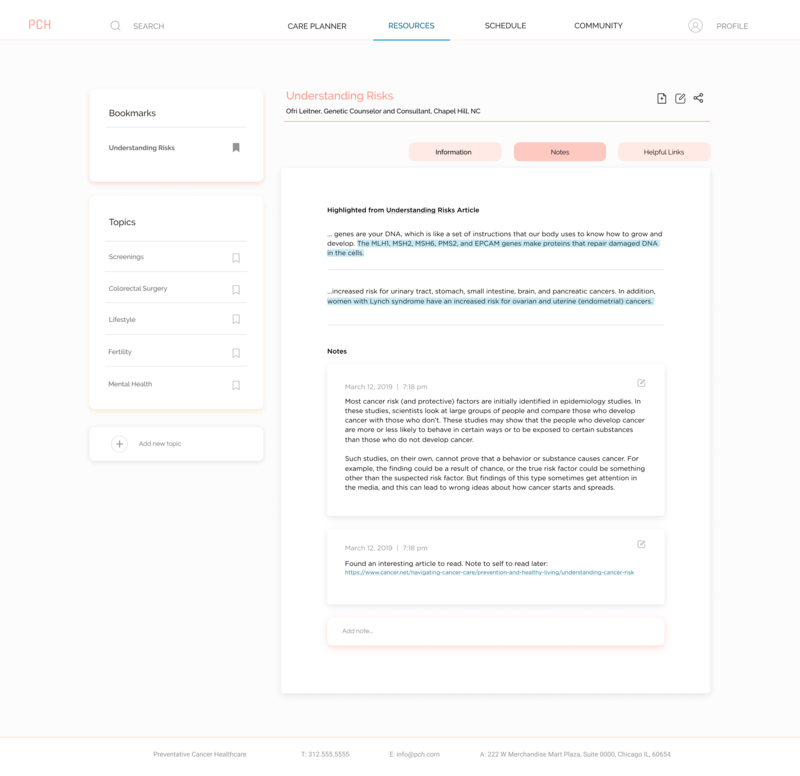 As a UX Designer on the team, I worked closely with the founder to make key iterations of the current platform while establishing a new design direction. During the 4 week sprint process, I was involved in the product direction, research and synthesis, wireframing concepts and prototyping. Post project completion, I developed all high fidelity screens for personal exploration studies. 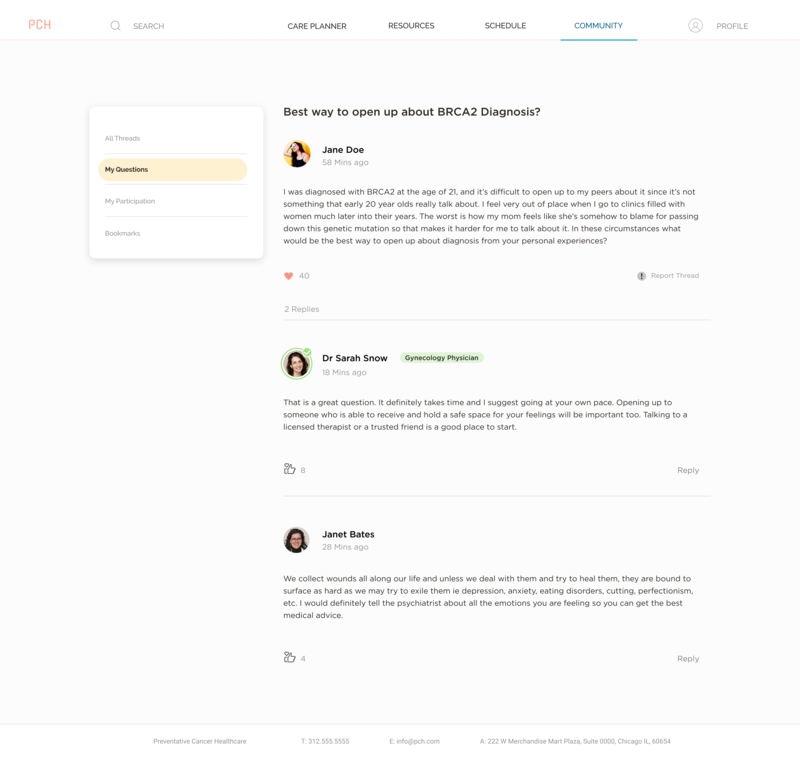 Read full UX case study here, or scroll to see the UI product development. How might we empower women with genetic predisposition for cancer through a confusing healthcare system to feel confident in their care coordination? 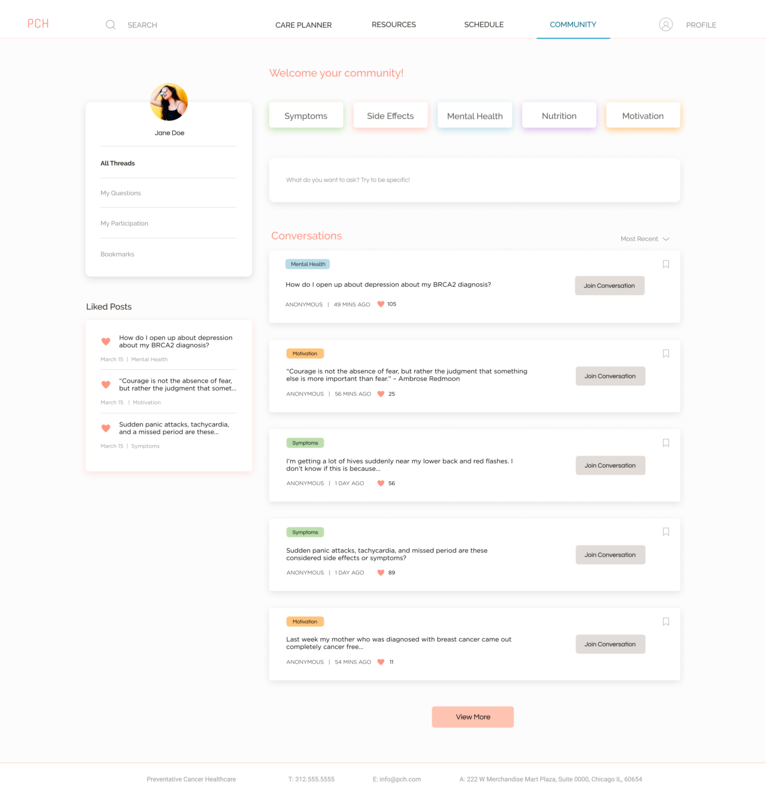 The dashboard was a new design direction that our research pointed our team towards. Patients could manage and plan their care while tracking symptoms all in one place. Upcoming events are also kept easily visible, and users have full access to their medical history and records as well as their cumulative symptoms chart ready to share with medical professionals. 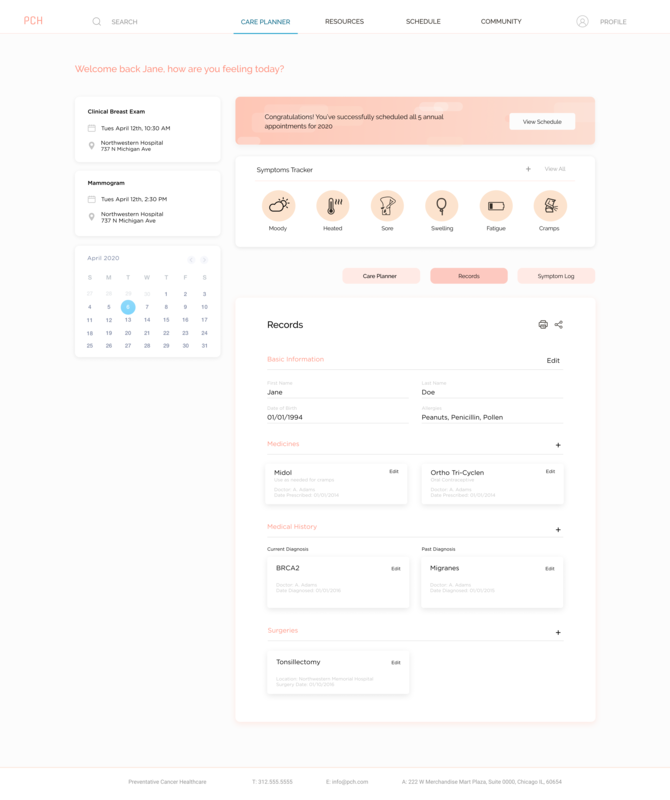 Through user testing we discovered that users were expecting the care planner to be set as the dashboard rather than a separate tab as in the 1.0. 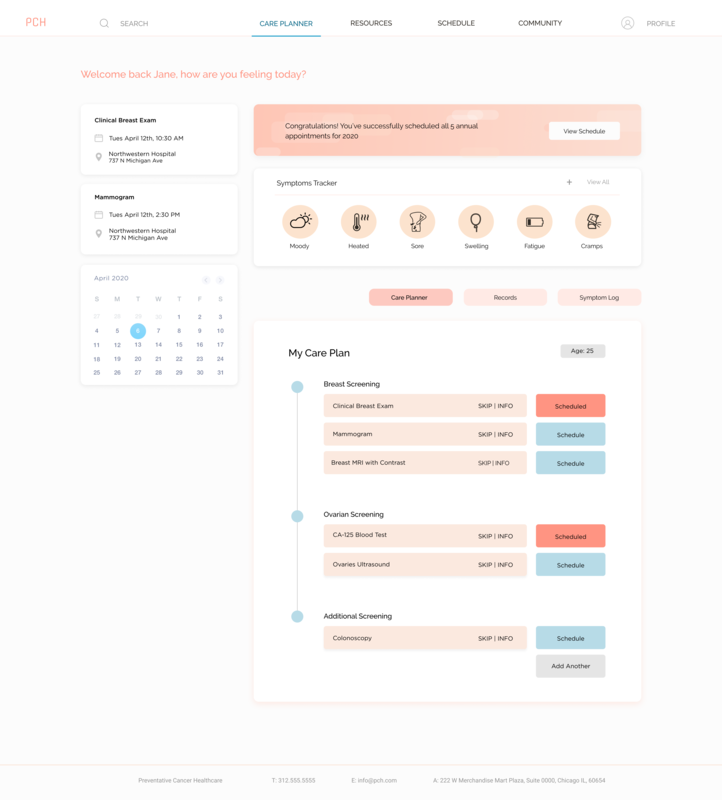 We tested several concepts for how the care planner could look like and function and found that a familiar planner layout resonated best with users. 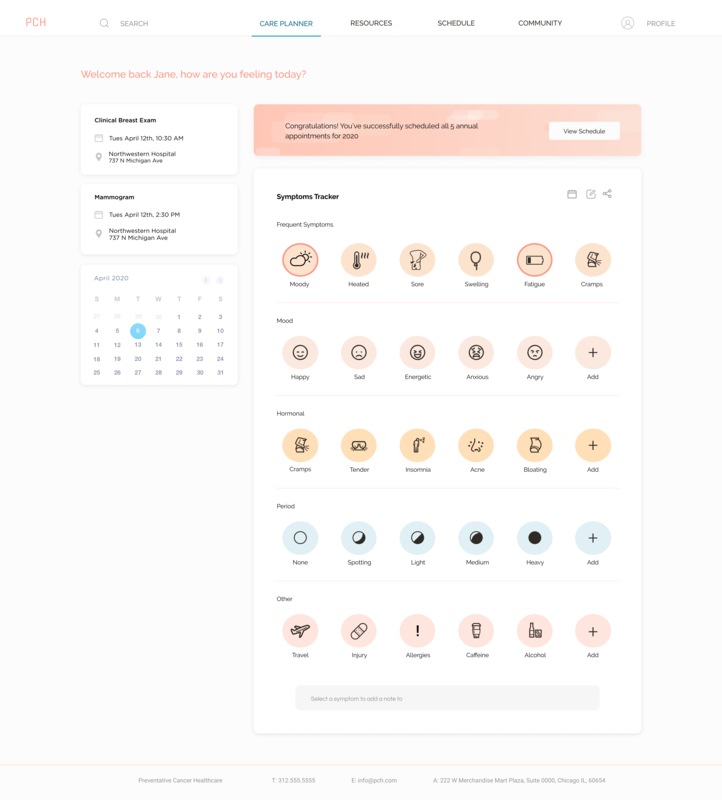 The symptoms tracker was a feature that was in direct response to a user pain point where they struggled to remember or keep track of all their symptoms when preparing to go to their doctor. 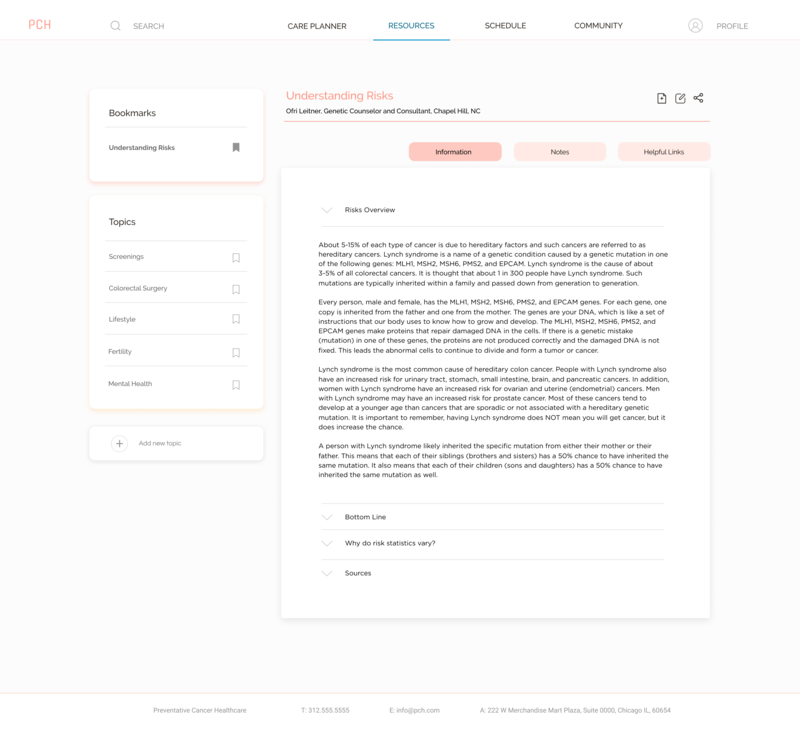 The ability to easily log symptoms and add notes were very well received by users. Another user pain point we uncovered was based on the lack of communication between medical departments. Users would often scramble to collect all their documents of their medical history, so we created a records tab within the dashboard for ease of access that is downloadable to print or share. Implementing a community feature tested immensely well as almost all of our users were seeking some sort of an emotional support system. The categories were sorted based on user interviews where we asked what were the most important topics for the users. Within forum posts, users stated clear needs for certification of medical professionals to be able to trust what is being written. Learning to design trust building elements were critical for users who are often unsure of what information to trust. Throughout the research process, we learned that almost all patients have some thread of resources they found but have yet to create a base to keep all of them. 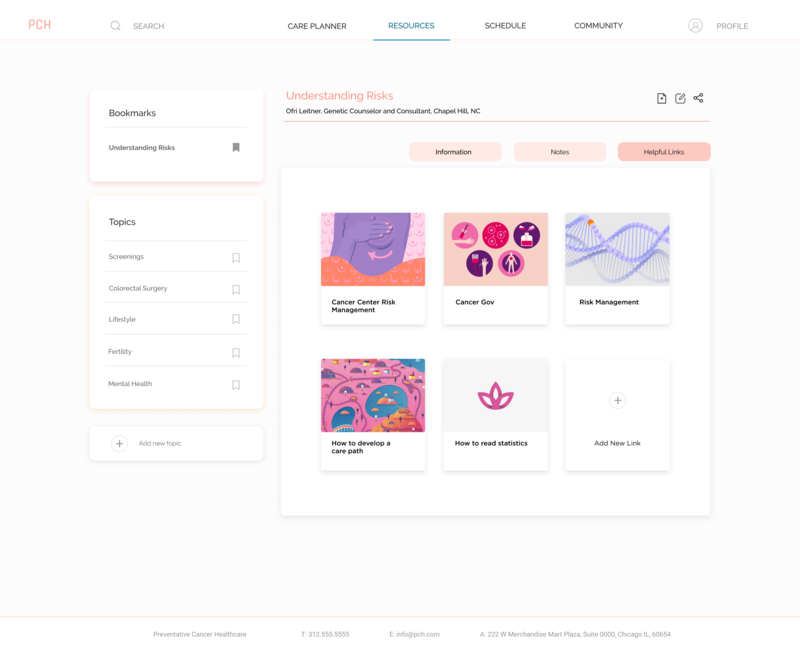 This was especially important for many of our users who try to cope with their diagnosis through extensive research but need a platform to organize the diverse range of resources they collect. Here users can copy and paste information they found from the sources they normally use. Select topics such as this "Understanding Risks" page will be internal content generated by PCH's Advisory Genetic Counselor. With basics covered by PCH, users can edit and add new topics or resources as they find fit. Often, when going through resources, users end up with a lot of questions that they want to compile to ask their doctor at the next appointment. This notes feature tested strongly as users appreciated having a commonplace for all their questions based on the source. We found that users typically use Pinterest to have a board of links they find helpful in relation to a specific topic. The familiarity and commonplace of all things related to their diagnosis also tested very well during usability testings.